When Miles O'Brien discovered his publicized racquetball match was unfairly influenced by an alien gambling device, he refused to take advantage of an unfair situation. 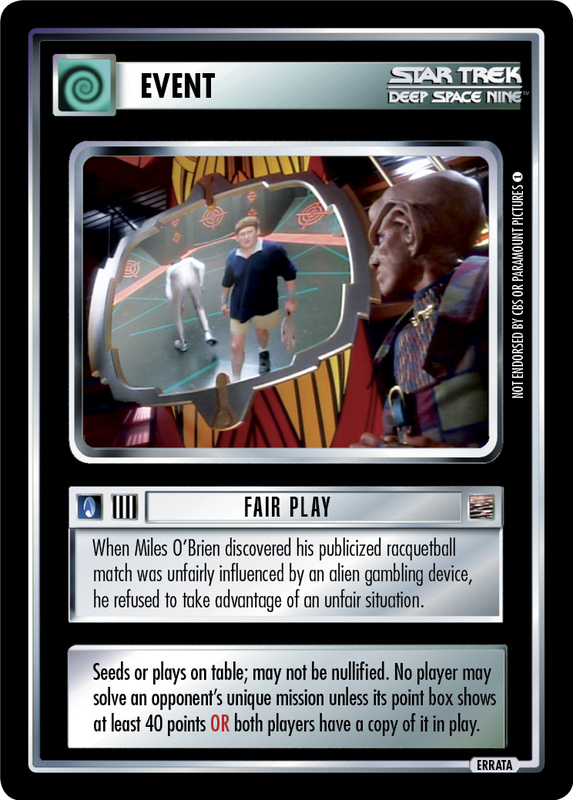 Seeds or plays on table; may not be nullified. 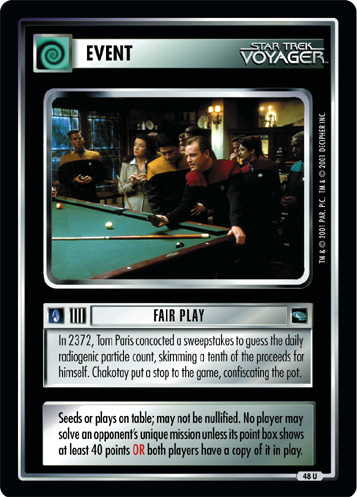 No player may solve an opponent's unique mission unless its point box shows at least 40 points OR both players have a copy of it in play. 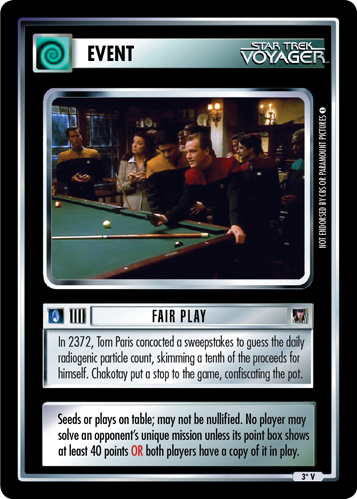 Image Source: Deep Space Nine: "Rivals"